With in excess of 50 million members, the Automobile Association of America (AAA) is one of the world’s largest motorist clubs. It’s provided help, advice and roadside assistance for Americans for more than 100 years, and is one of the most famous brands around. AAA motorists that find themselves in need of assistance in the Long Beach, California area are welcome to come to Five Star Towing Long Beach. As an official associate of AAA, Five Star Towing is able to help members with everything from battery jump starts to long distance towing. Whether you’re a local or just happen to be passing through the LBC, we can help you get back on the road. At Five Star Towing Long Beach we offer a professional towing and roadside recovery service that’s reliable, affordable and first rate. Whether you’ve been involved in a road traffic accident or your tank has run empty, if you’re in need of lockout assistance or your engine has given up, we’ll see to it that you’re not stuck by the roadside for longer than is absolutely necessary. We offer a comprehensive towing service (see below) that can provide a fast and easy solution for almost any scenario. Contact Five Star Towing and you’ll benefit from our local knowledge and community spirit. We believe in looking out for local motorists by offering a fair, affordable towing and recovery service. 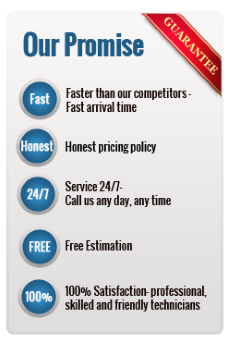 We also believe in keeping our prices down with no hidden costs. AAA registered drivers don’t need to pay for our services – we’ll work that out with your motor club directly. Our services are available 24/7, and help is near whenever you need it. We strive to respond to all callouts within 30 minutes, and won’t leave until you’re happy with your vehicle or somewhere safe. Our skilled technicians have a wealth of knowledge and experience waiting to be put to the test.